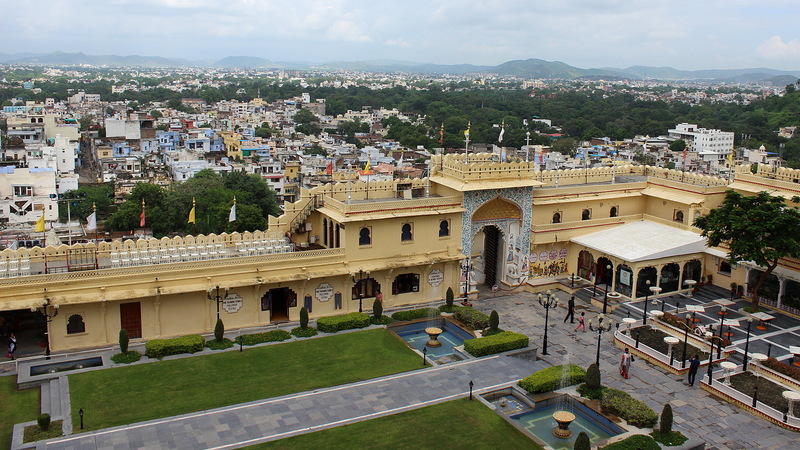 Searching for a lost friend of a friend in Udaipur, an Indian city of half a million people? Challenge accepted! In my previous blog posts, I’ve been saying that I had to hurry through India to get to Delhi before my Finnish friend’s arrival. While that was true, there was more. I also had to keep up my pace because there was something I wanted to do before I reached Delhi. When I published my first Facebook posts about India, I got a comment on my blog’s Facebook page. Kate, an Australian traveller friend of mine, asked about my route in India. 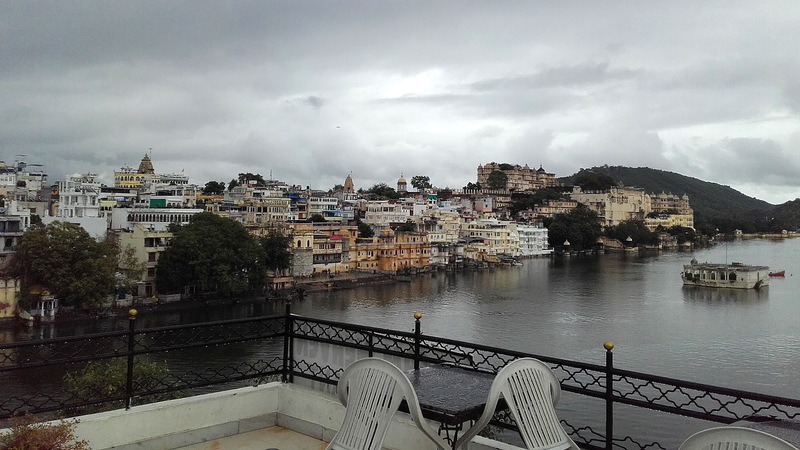 When she heard I’d go thorugh Rajasthan, she recommended that I should go to Udaipur. I had been looking for cities to visit between Mumbai and Delhi, so I was very glad about the tip. Some time later, Kate sent me a new message. If I went to Udaipur, could I do her a favour? When she visited the city three years ago, she had become good friends with Pratap, a local guesthouse worker. Kate had made him e-mail and Facebook accounts so they could keep in touch, but they had lost contact soon after she had left. Could I try to track him down and ask how he’s doing? How could I ever say no to that? 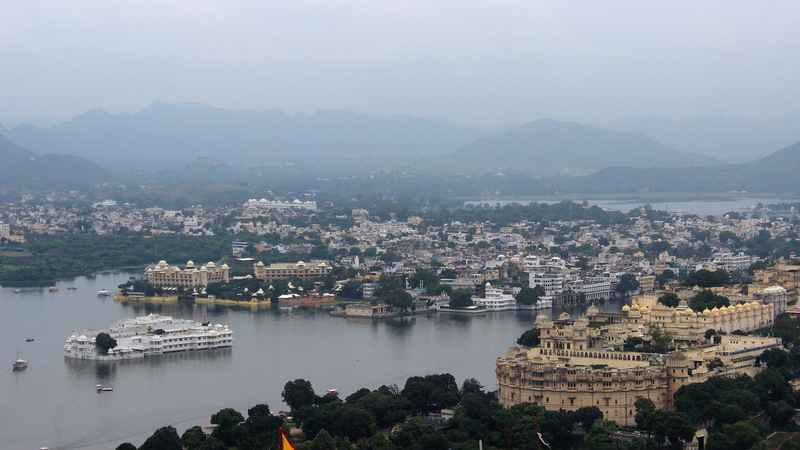 Lake Pichola divides the center of Udaipur into two areas. I arrived in Udaipur on Friday 5th of August. It was early morning, I was still recovering from a persistent flu and I had slept very badly in my night train from Surat. I bought a train ticket to Delhi for Sunday evening, took a rickshaw to my hotel and decided to sleep for a few more hours. I had one weekend to find Pratap. I knew his name and Kate had sent me a picture of him. Most importantly, Kate had told me the guesthouse where he worked three years earlier: Dream Heaven Guest House. I had booked a different guesthouse, but I made sure my accommodation wasn’t too far from Dream Heaven. Both buildings were in the Hanuman Ghat Area by Lake Pichola, in the historical center of the town. My search started after a long nap and a lunch. First, I checked the location of Dream Heaven Guest House on a map and decided to walk there. Although the two guesthouses were less than 500 meters away from each other, the narrow streets weren’t too easy to navigate, so I asked a few locals for directions. Dream Heaven Guest House was also a maze in itself, as I had to follow numerous narrow steps and corridors until I found two workers in the rooftop restaurant. A view from the rooftop restaurant of Dream Heaven Guest House to the other side. Neither of the men sitting in the empty restaurant looked like the man I was looking for. I asked if Pratap was around. No, he wasn’t. He had quit his job at the guesthouse a year ago. Fortunately, the workers knew where he had went. Pratap had started working in a place called Rainbow Restaurant. “And where is this restaurant?”, I asked. The workers pointed on some buildings on the other side of the lake. 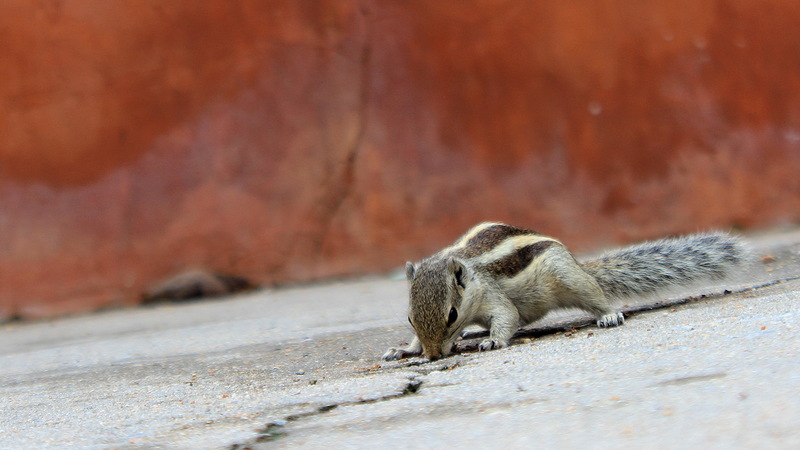 An Indian squirrel looking for food in Udaipur. Well then, did I go to Rainbow Restaurant straight away? No. I went back to my guesthouse and decided to call it a day. Finding a long lost person was an important task, but handling my flu was another task I had to take care of. For the next day, I had booked a rickshaw tour around the sights of the city. During this tour, it was easy for me to see why Kate had loved the city. Even though the city spread far away, the tourist areas were surprisingly calm, even relaxing. The view to the city lake was very beautiful despite the cloudy weather. 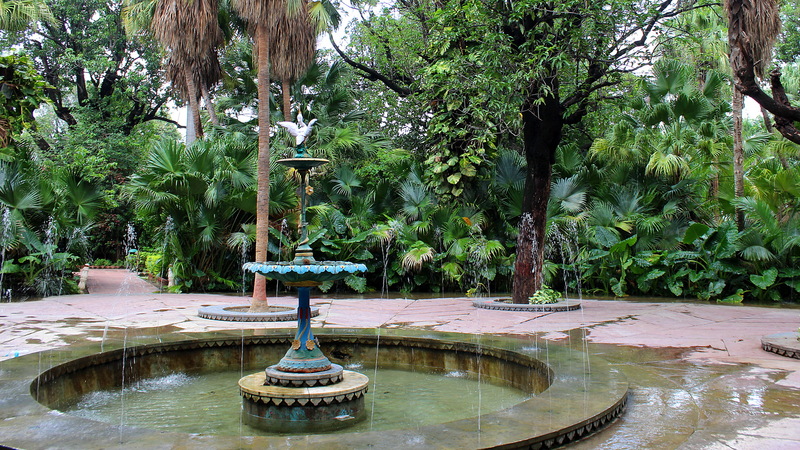 Saheliyon-ki-Bari (“Courtyard of the Maidens”) is a popular garden and one of the main sights of Udaipur. The garden also had a small science museum that included showpieces such as dinosaur sculptures and computer parts. 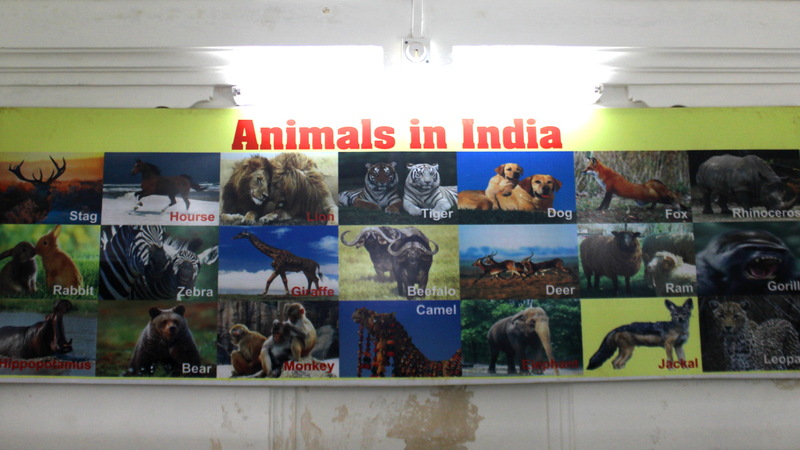 This poster introduced “Animals of India” such as zebras, giraffes and beefalos. 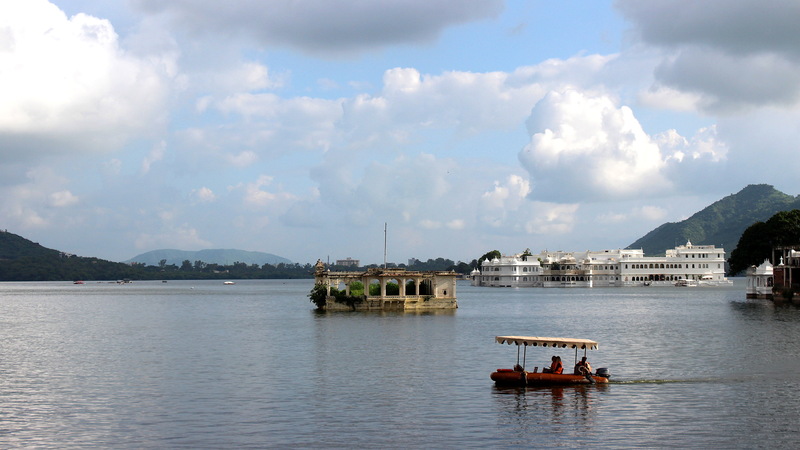 Udaipur was found in the 16th century as the capital of the Mewar kingdom. Therefore, many of the tourist sights of the city have something to do with the royalty. Even Lake Pichola, the body of water that dominates the landscape in the center of the town, was expanded by the founder of the city, Maharana Udai Singh II. He also constructed the first structures of the City Palace, which is the largest palace of Rajasthan. My tour ended at the gates of the City Palace. 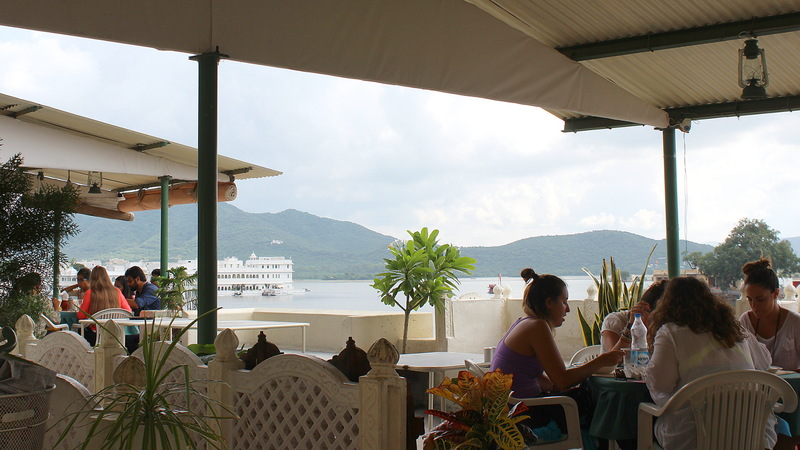 The palace was located close to the lake and – more importantly – close to Rainbow Restaurant. Before my guide took off, I asked him the directions to the restaurant. 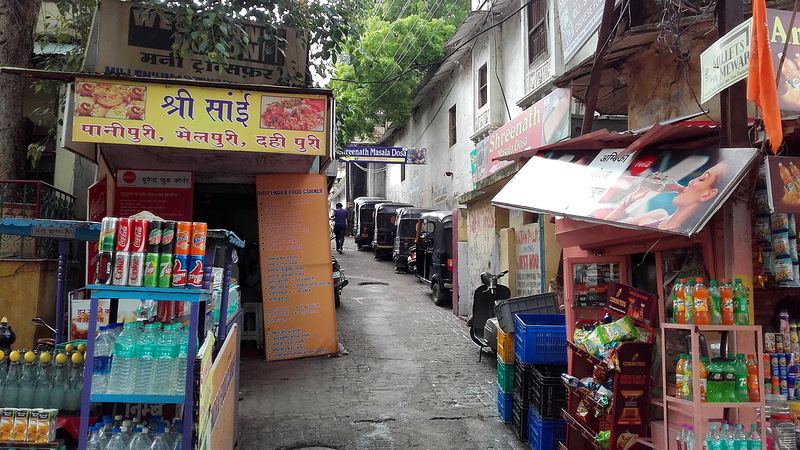 He pointed at a steep, narrow alley rising up behind shops and food stalls.. The courtyard of the City Palace. If I had not known where to go, the tiny alley would have been easy to miss. After a brief visit to the Palace, I headed to the alley. The restaurant wasn’t on the first street. Or the second one. I had to follow the narrow walkways down closer to the lake and ask directions a few times before I noticed a sign pointing to the stairs up to Rainbow Restaurant. Chasing the rainbow to yet another side street. I was surprised I didn’t spot any signs showing directions towards the restaurant. I climbed up and entered the place. One of the waiters offered me a menu, but I didn’t take it. Instead, I asked if Pratap was working in the restaurant. Yes, the waiter confirmed. “Is he here today?” I asked. Yes, the waiter responded again, pointing me to a moustached man sitting in the corner. I had found Pratap. I went to the corner, shook hands with the man and introduced myself. Then I told about Kate and my reason of arrival. When I had started the search for Pratap, I was worried if Pratap would remember Kate. I didn’t know how close friends they had been, so would he remember one guest out of many from three years ago. Well, it turned out that I had no reason to worry. When I showed a picture of Kate, Pratap looked genuinely happy. “Katie!” he exclaimed when he realized who I was talking about. Before we could talk more, Pratap had to do some work at a few tables. I ordered a tea and went to sit on the other side of the restaurant. Once Pratap was finished, he joined me by the table and we started talking. First, I had to explain how I knew Kate. Pratap asked if I was also from Australia and if I was a close friend of Katie. I had to give negative answers to both questions: No, I was from quite the opposite side of the world, and although we were friends in Facebook, I had met Kate only once three years ago when we stayed in the same hotel in Nepal. As a matter of fact, I had seen Kate just a few weeks after Pratap, because she had continued her journey from India to Nepal back then. 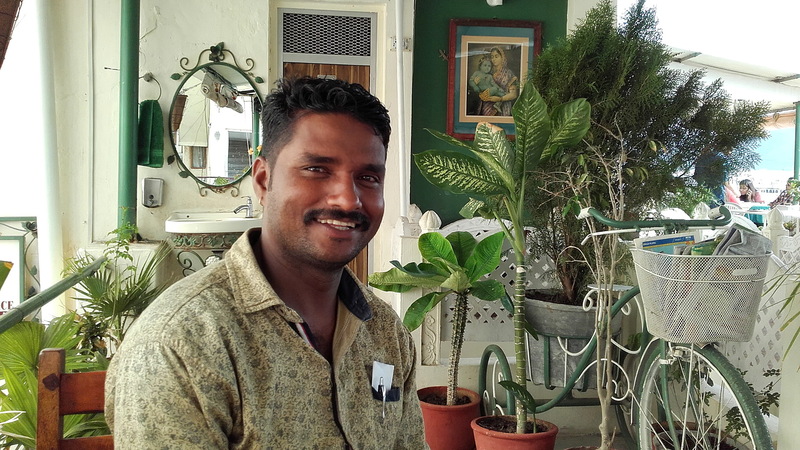 Pratap said he enjoyed working as a waiter in the restaurant more than he had liked his previous job. The restaurant seemed like a cosy place with great atmosphere. As Kate had guessed, Pratap had lost Kate’s contact information soon after she had left. And somehow Pratap had managed to lock himself out of his Facebook account, too. He still had no laptop or smartphone, so the technical stuff was a bit difficult to him. I tried to give my best answers about Kate’s whereabouts and I asked Pratap how he’s doing. Then Pratap asked me how he could contact Kate. Well, this was a problem that only occurred to me moments before I entered the restaurant: I was friends with Kate on Facebook, but I had not asked her about other ways of contact. I inquired if the restaurant had a Wi-Fi I could use. I’m not sure if the Wi-Fi was meant for customers, but Pratap checked the password and wrote it down for me. I connected to Facebook and sent Kate a picture of Pratap, telling her to look who I had found. Luckily, Kate was online and she responded immediately! Lake Pichola as seen from the terrace of Rainbow Restaurant. For a while, I acted as a messenger between Kate and Pratap as I read aloud Kate’s messages and wrote back Pratap’s responses. Many of their messages involved people I had never heard of and inside jokes I could never understand, but from Pratap’s laughter, I could see he was truly enjoying it. After about fifteen minutes of chatting, the old friends had shared phone numbers and Kate promised to make Pratap a new e-mail address so they could write again. There wasn’t much more for me to do, so I said farewell to the grateful and amazed Pratap and returned to my hotel. Oh, and the best part of the story? I never had to pay for the tea I had ordered!